When we got to hole #4, the conversation between Aunt Beck and I was really flowing. We had established a bond. I was asking a lot of questions and Aunt Beck was getting to tell her story and what a phenomenal story it was. I was just trying to soak up as much of her wisdom as she was willing to share. I doubt she even felt she was imparting any wisdom, but she was. Now I was expecting a bit more than this. I figured everyone had at least one “mulligan” they would use if they had the opportunity. For me, there was a time I might have had a hard time listening to the Frank Sinatra song “I Did It My Way” because of the line that goes something like, “regrets, I’ve had a few, but then again, too few to mention”. There was a time when I seemed to have a lot of regrets in my life. Regrets like wrong decisions, misused words, time I have wasted, etc. But as I think about Aunt Beck’s response, I am reminded that every decision I have made seemed like the right decision at the time. So, if I had to do it over again, I would probably make the same decision. Aunt Beck doesn’t need any mulligans, and I won’t either. Identify the problem or question – the process of clarifying the problem begins to bring solutions to light and also helps determine how serious the problem is. Gather and analyze information – this step is absolutely critical if you are going to feel comfortable and confident with a decision. Develop and choose alternative solutions – after analyzing the information, you will realize that there are a number of choices before you. Rarely does a decision only have one alternative. Keep asking, “What other possibilities are there?” It is far easier to choose the best alternative from many than it is to accept the best answer from among a few. Take action – decisions are only mental exercises and do not yield results until they are put into action. Review and evaluate decisions – this will allow you to change or alter your action if the decision is not yielding the right results and it allows you to evaluate your progress as a decision maker and thus improve your decision making ability. 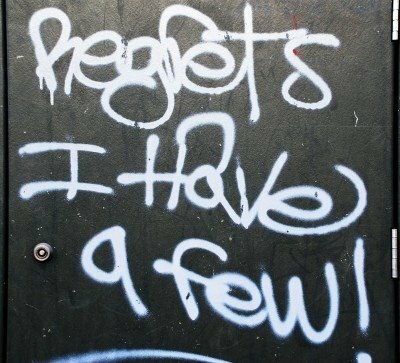 Living with no regrets? 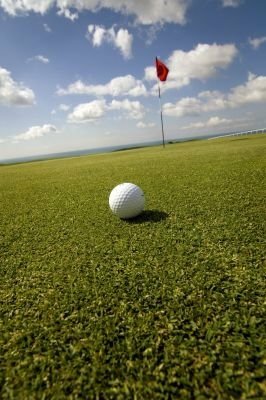 Life without mulligans? I believe it is very possible. I don’t have time for regrets, because I have too much I still want to do. This entry was posted in Aunt Beck, Becky Morris, decision-making, regrets. Bookmark the permalink.